Salesforce CPQ is a configure price quote (CPQ) software that enables users to automate their quotation-to-cash processes. 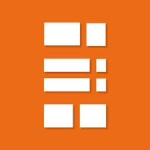 Its features include contract management, invoicing and billing tools, a quotation builder, and more. In this article, we cover Salesforce CPQ reviews and pricing. Ready to get started? Get a free trial. Users who gave Salesforce CPQ a positive review like its integration with Salesforce and other third-party apps. Others mentioned that it enables them to create and track proposals and quotations with ease. One user who left a positive review of Salesforce CPQ on G2 Crowd said that it is an effective software for creating and managing quotations. She also likes its pricing functionality that allows her to calculate discounts for specific products automatically. Users who gave Salesforce CPQ a negative review mentioned that learning how to set up its product catalog may be challenging for beginners. Several others complained about experiencing system crashes and slow load times occasionally. 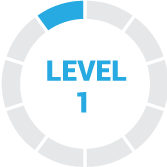 One user who left a negative review of Salesforce CPQ on Capterra commented that the learning curve in configuring it is a bit steep. He added that he needs help from a support representative to configure its product catalogs correctly to avoid quotation errors and pricing inconsistencies. The Salesforce CPQ pricing scheme has three pricing plans — CPQ, CPQ+, and CPQ+ with Billing. The price for CPQ is $75 per user per month and CPQ+ costs $150 per user per month. Pricing for CPQ+ with Billing is customized. The main difference between the plans is access to invoice consolidation, advanced billing, and more. *Annual plans are paid in lump sum at the beginning of the billing cycle. Interested users should also note that the CPQ and CPQ+ plans require a minimum of 10 users. Ready to get started with Salesforce CPQ? Get a free trial. 6 Best Invoice Software for Small Businesses: The best invoice software enables you to streamline your invoicing process and get paid much faster by allowing customers to pay online. In this guide, we evaluated several products based on its ability to create recurring invoices, send automatic payment reminders to customers, and run an accounts receivable (A/R) aging report to stay on top of open invoices. Does it have an audit trail functionality? Yes, it does. Salesforce CPQ comes with a full audit trail functionality that records all actions made within the platform, including electronic signature approvals. Can Salesforce CPQ automatically create renewal quotations? Yes, it can. Salesforce CPQ automatically generates renewal opportunities and its applicable quotations, based on the contract timelines and details from validated proposals and previously closed sales orders. Have you read these Salesforce CPQ reviews and are still not sure if it’s the right fit for you? Read our reviews of all top invoicing software or check out one of these three Salesforce CPQ competitors. Salesforce is a broad CRM. It has endless functionalities that sets it apart from other CRM tools. For me as a manager, I really like the dashboard/reporting functionalities. I always use it to see different cases my team is working on. They are easy to use and provide great details. It is so vast that if you don’t know what you are doing with it you may be missing out on various features. I am currently working at my second organization that uses Salesforce. The first go around it was already set up when I got there. This time we got switched from Zoho to Salesforce. Salesforce out of the box is difficult to get set up if you don’t have the experience. While it is better than any other CRM I have used, it won’t seem like it if you don’t have it set up. Having someone who is familiar with software is helpful when getting started. We used a third party company to help us with our configuration. If you have someone on your staff who is Salesforce certified, it will save a lot of time and money. The product makes it easy to customize for our particular business and allows the sales team to execute daily tasks easily and with accountability. 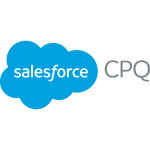 I don’t really have many positive things to say about CPQ because I am a Salesforce admin that never took the training as we are not in a place to pay for the expensive training courses. However, I do like that it’s directly integrated with Salesforce, so that as I get to know my way around new Salesforce capabilities, applications, and configurations, CPQ usually fits in well with my customizations. CPQ because is, in no way intuitive and it’s very difficult to edit the quotes way they want because of the lack of configurations we have access to – this is also due to lack of training and support (you can only get those things with a hefty price tag). When I want to add configurations or change aspects about our CPQ and quoting process, this effort is extremely tedious and nonsensical at times. Their support team has not been able to assist me with any of my questions. The support team instead directs me to the community page where it’s full of support folks or others that are just as non-responsive. I wish I had known that trainings and support was not provided unless paid for, and I also wish I had known that we should NOT purchase CPQ without purchasing the trainings and support package. Salesforce has an incredible support team who are quick to resolve issues and continuously request feedback to make the user experience easier. This CRM tool is not a good fit for smaller organizations and can be overwhelming for a smaller sales/marketing team as there are many functions they may never use. Pricing also is another drawback as it would be very expensive for a smaller team to invest in such a tool and may only use 25% of the total functionality. I believe Saleforce was very upfront during the entire sales process and provided more than enough information about their organization and CRM product.